Thomson, GA- Mr. Roy Thomas Reese, 81, of Hillcrest Drive entered into rest September 2, 2018. Mr. Reese was a native of Warren County, GA and the son of the late Llewellyn Gibson Reese and the late Tommie Lois Smith Reese. 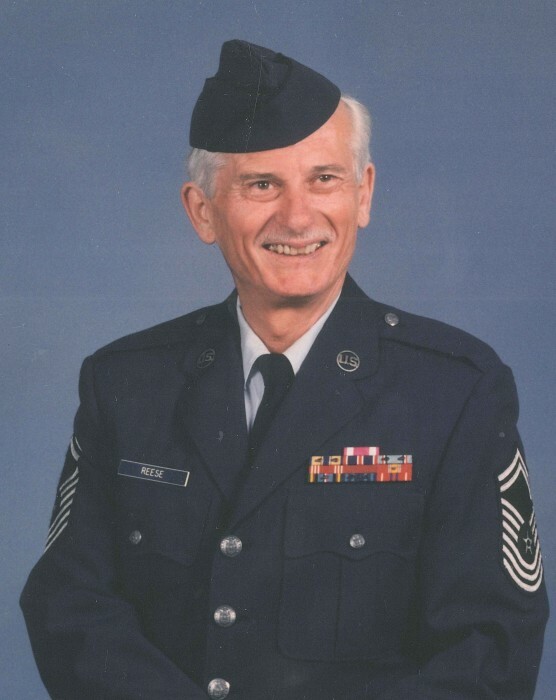 He was a retired chief master sergeant from the U. S. Air Force and he was retired from the U. S. Postal Service. Mr. Reese was a master mason, a member of the Alee Shrine Temple, the Thomson Shrine Club, a member of Mesena United Methodist Church and attended the Thomson Church of God. Survivors include Doris Reese; son, Christopher T. Reese (Barbara K.) ; daughter, Marianne Reese; and grandchildren, Samantha Reese, Rebecca Reese and Royalty “Beth”Reese; and also survived by, Marsha Perry (Stanley), Tammy Herring (Barry), Jessica Rabun, Amber Poss, Taylor Evans, and Jason Rabun. Funeral services will be held at 3 p.m. Thursday, September 6, 2018 in the chapel of the Beggs Funeral Home with Rev. Bobby Farmer officiating. Interment will follow at Savannah Valley Memorial Gardens. The family would like to express their sincere gratitude to Rescare Homecare, Amanda Dill; Regency Hospice, Amy Cranford; and private aide Chatty Hill. The family will receive friends from 6 until 8 pm, Wednesday at the funeral home. Beggs Funeral Home, 799 Cobbham Rd., Thomson, Georgia is honored to serve the Reese family.